A patient should always receive effective care in the timeliest manner possible, as failure to quickly treat an illness could result in the worsening of a condition. However, according to a report by the Institute of Medicine, most Americans will receive a delayed diagnosis or treatment at least once in their lives, which equates to approximately 12 million instances each year. While most of these cases do not result in significant harm, some instances can result in severe damage or consequences, such as a permanent hindrance or even death. If you or a loved one has received a delay in treatment or diagnosis, you may be eligible to receive compensation. However, it is important to be aware of what constitutes as a delay in treatment and what steps must be taken in order to successfully carry out a lawsuit. That is why our team at Kirk, Kirk, Howell, Cutler & Thomas are here to provide you with all the information necessary to properly deal with this matter. A delay in treatment is characterized by a patient failing to receive medical treatment, whether it be medication, physical therapy treatment, lab testing, or any other form of treatment, within the reasonable time frame that it should have been delivered. This includes failing to receive an initial or follow-up appointment in a timely manner, as well. Can a Doctor Be Sued for Delaying Treatment? Doctors are liable and can be sued for failing to provide care in a timely manner if any conduct contributed to medical malpractice. Medical malpractice occurs when the negligence of a healthcare professional causes injury to a patient with whom they have had a professional relationship. 1. Was the Delay the Result of Negligence? In order to have a successful lawsuit, an individual must prove that the doctor’s delay in providing treatment was a result of medical negligence. Medical negligence occurs when a healthcare provider of any kind fails to meet the certain minimum standards of care when providing medical treatment to a patient. Proving medical negligence usually requires a medical expert witness to testify. The witness must establish the proper way to care for a patient in the particular situation in question and explain how the accused doctor strayed from this standard. For example, when necessary, intubating a patient in a timely manner is crucial to avoid brain damage or even death. If a doctor failed to do so within the necessary time frame, and another medical expert presented proof that in a proper instance, a doctor would have intubated the patient sooner, then medical negligence would be established. 2. Did Any Harm Result from the Delay in Treatment? If medical negligence was successfully proven, the other major component of the case is then to establish medical malpractice damages. In other words, for a successful case to be built, the doctor must not have only delayed treatment, but the delay must have caused harm or additional injury to the patient. To prove that additional injury occurred as a result of the delayed treatment, this usually requires a medical expert as well. The medical expert must detail how the delay in treatment specifically harmed the victim, and the extent of the harm. For example, a timely diagnosis of most diseases, especially cancer, must occur for the treatment to be as effective as possible. If treatment is prolonged, often times, a patient’s symptoms and condition will worsen, along with their pain and discomfort being prolonged. Therefore, if a doctor was to have had the opportunity to diagnosis and subsequently treat a patient, but failed to do so in the appropriate time and manner, evidence of additional harm would then have to be presented. If a medical expert presented firm evidence that this delay in diagnosis and treatment resulted in the worsening of the patient’s condition, prolonged pain, or even death, then the malpractice damages would be established. If the previous scenario were the case, both medical negligence and malpractice damages would be established and sufficient evidence for medical malpractice would be present. 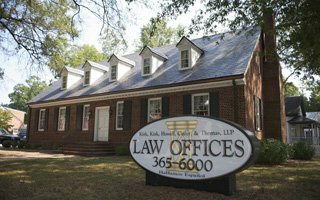 Why Should I Contact an Attorney for My Medical Malpractice Case in North Carolina? Pursuing a medical malpractice claim is a complex and difficult process without the help of an experienced attorney. Such lawsuits involve expert medical witnesses, complex data, and confusing requirements, which can make the entire process expensive, stressful and lengthy. Furthermore, it is important to first consider the North Carolina’s state limitations on medical malpractice awards before initiating a costly case. That is why the most ideal option when faced with a medical malpractice case is to contact our Raleigh medical negligence attorneys. Our team will individually analyze your situation, provide our expertise, and guide you through the entirety of the process, simplifying the process as much as possible and eliminating most of the headache associated with medical malpractice cases. Contact Our Raleigh Medical Malpractice Attorneys Today. If you or a loved one has potentially been the victim of medical malpractice, don’t hesitate to contact our experienced Raleigh attorneys. Receiving a delay in treatment is a serious matter that is best handled when immediately approached. Schedule your consultation with our Raleigh medical malpractice attorneys today by calling (919) 615-2473 or by completing our online contact form.